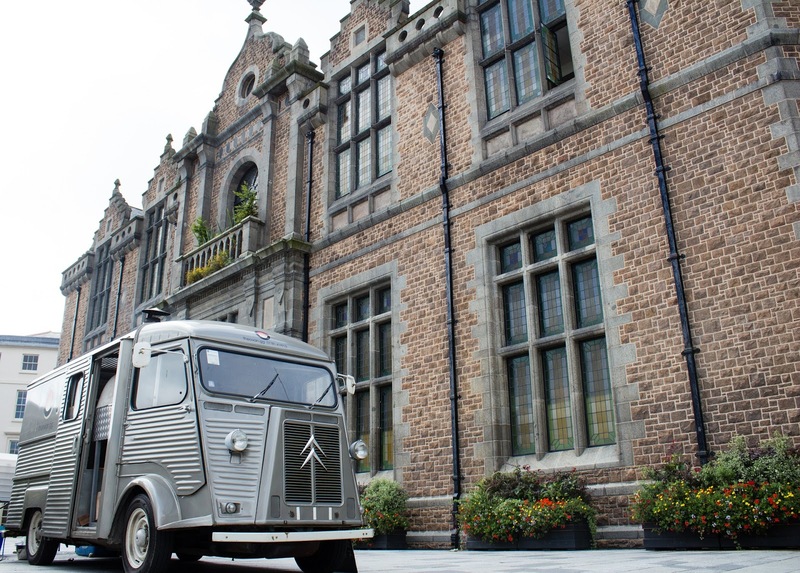 Have you noticed that when you buy coffee outside, it’s very often not from an ordinary catering van? Everything about the way you get to experience good coffee has taken a twist to entice you to further enjoy the experience. And it’s not limited coffee. Bakery, pizza, and antiques all appear for sale on the street from the back of an unusual van. Not a Transit, a Sprinter or Transporter (although the Volkswagen Transporter has become a popular vehicle for cafeterias, something that’s travelled over from the Surfie Movement.) No, what we are talking about here is the very cute, strange, old chicken coop on wheels, the Citroën ‘H’ Van. 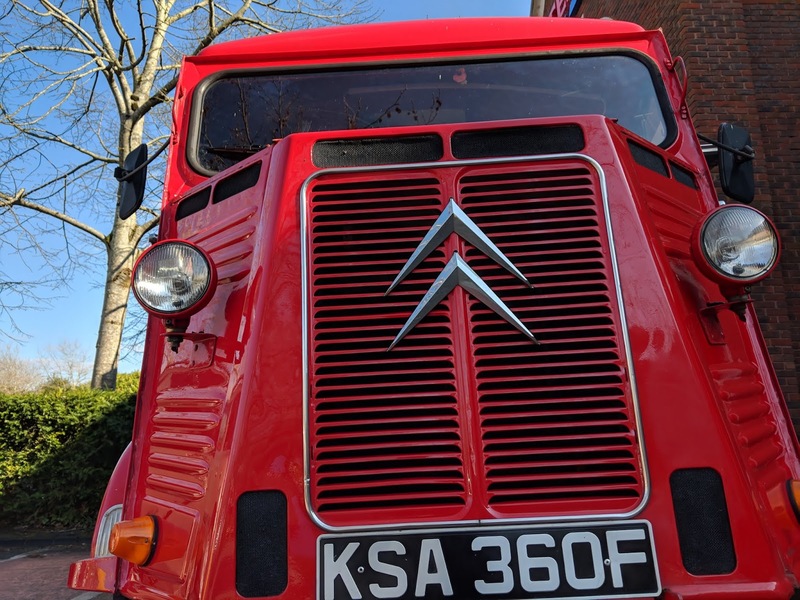 Far from modern, the 'H Van' was designed during the war, in Paris, and in inimitable French style, made something utilitarian look positively ugly, but with no allowance made for impracticality, the machine became loveable because it was so good at what it did. 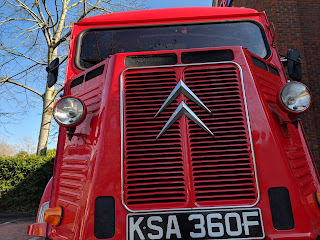 In some ways a bit like the Land Rover Defender (I’ve seen coffee vans on them too), its go-anywhere, bash-anything bodywork endeared it to farmers, delivery workers and those with a taste for exploration. I don’t think the 'H Van' did much exploration, but it was sold in some very inhospitable environments. 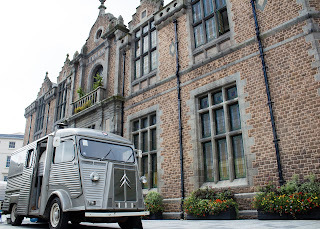 Largely, the 'H Van' was designed by André Lefebvre, who also designed the famous Traction Avant and Citroën DS (I suppose he should be allowed one ugly one!) It replaced what the French called the TUB, which was a hard act to follow. Lefebvre kept the weight very low and the hard parts in unobtrusive places. This left more room for payload. He used the drive line from the Traction-Avant – which did not impose into the driver's compartment too much – you effectively sat on it, with the gearbox and water cooling out front, beyond the screen. The designer matched strength with lightness, two features that are usually mutually exclusive. He had seen a German Junker's transport plane landing, and marvelled out how 'corrugated' panels made wobbly sheets strong. 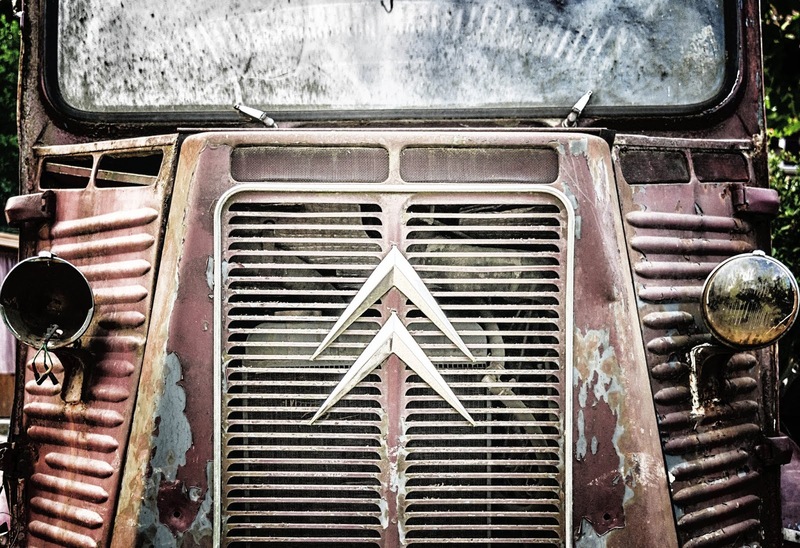 Once peace had been declared in Europe, the 'H' Van was on French roads in droves. Citroën continued making them into the Seventies, showing that the French didn’t care what a product looked like, as long as it did its job. They became ubiquitous. The strange thing is, they are now bought precisely for their looks! 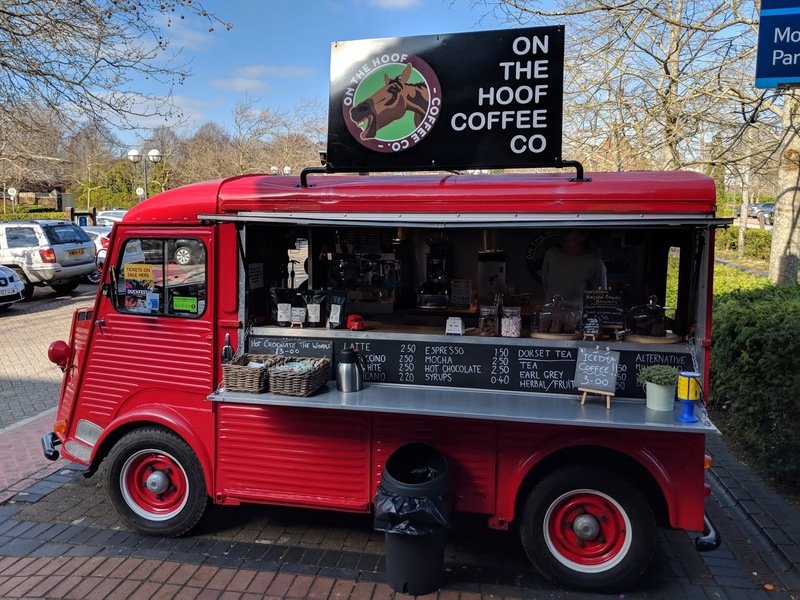 Our local Tesco’s has one outside, a bright red, left-hand drive one, run by On The Hoof Coffee. Christian and Zeta do fabulous coffee from their espresso machine, and great snacks too (Dorset Sea Salt Caramel Brownies, anyone?) The interior kitchen, decorated by the owners, is well laid out and nicely fitted, obviously a working space of some substantial pride. 'Maurice', as the van is affectionately known, is somewhat different from the way he started life. Co-owner Zeta said of their regular pitch, outside a large supermarket in Dorchester "it's lovely to have a spot year-round." Automotive lover Christian shared that "[Maurice] used to be awfully slow and heavy to drive, so a Ford Pinto 1600 engine was swapped into it. Now it's happy at about 40-45mph." The coffee is fantastic, and if you give it a go, tag yourself using #OnTheHoofCoffee and #VeloceBooks! Send us a picture when you see a vending van with a difference! We have been told of a Peugeot Pizza van, that has so far evaded photos... so let's see some of the trendy cute mobile vending vans near you!